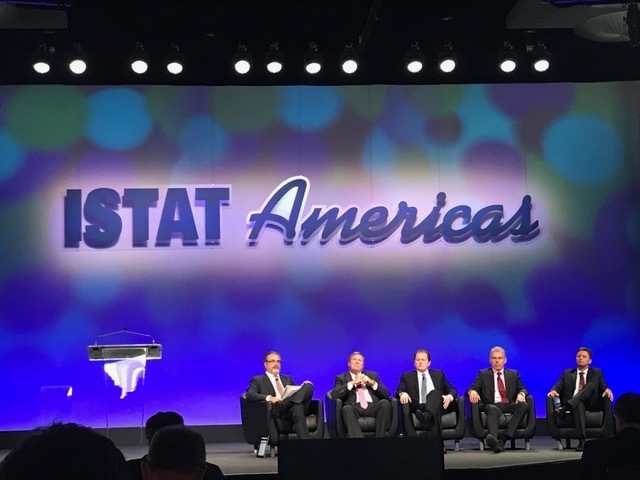 Tom Lane attended the ISTAT Americas conference in San Diego, California and had a very successful few days. With around 1900 delegates in attendance, Tom was able to have numerous meetings with banks, leasing companies and airlines, some of which Avtrade are in the middle of aircraft deals. ISAT is dedicated to fostering and promoting interest and educational opportunities in commercial aviation while providing a forum for those involved in the aviation and supporting industries. ISTAT currently represents more than 4,100 members worldwide who are involved in operating, manufacturing, maintaining, selling, purchasing, financing, leasing, appraising, insuring or other activities related to the commercial aviation sector.